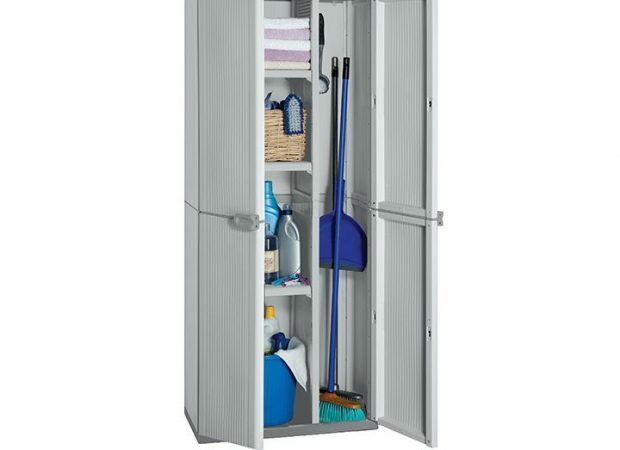 The KETER MULTIPURPOSE CABINET is a well-designed and functional cabinet designed for indoor storage situations. 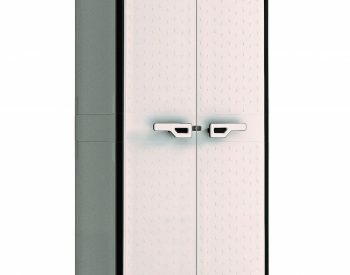 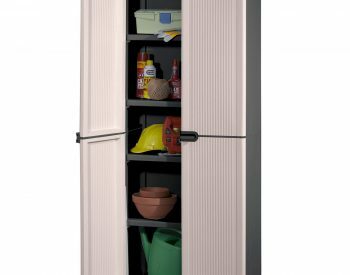 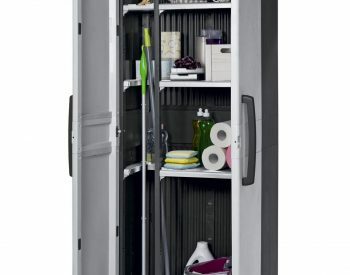 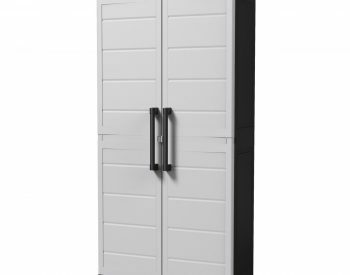 The MULTIPURPOSE CABINET features lockable doors, a full-height compartment for storing brooms and mops and 3 adjustable shelves with a load capacity of 20kg each. 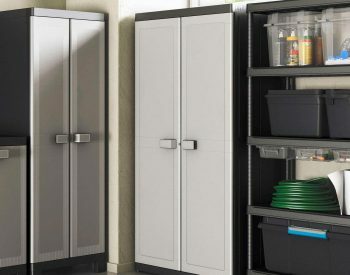 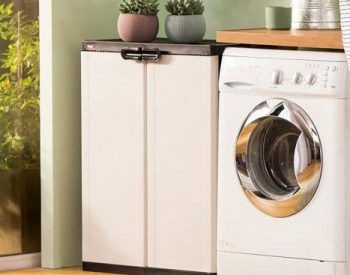 Now it is easy to tidy up the laundry, spare room or garage – an excellent solution to the perennial problem of not enough storage space! 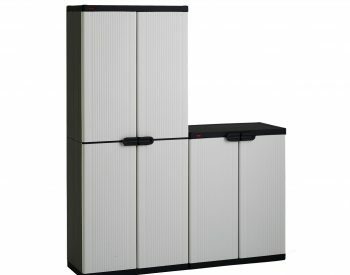 The KETER MULTIPURPOSE CABINET is manufactured from robust polypropylene resin plastic which will not rust, dent or peel. 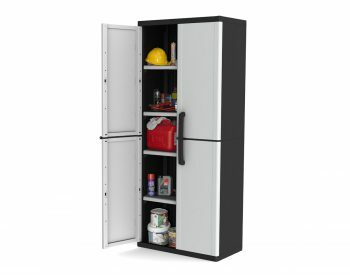 It is available in GREY and is supplied as an easy to assemble kit with comprehensive instructions.